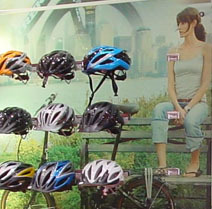 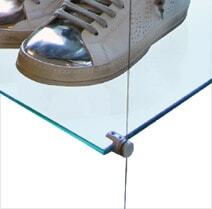 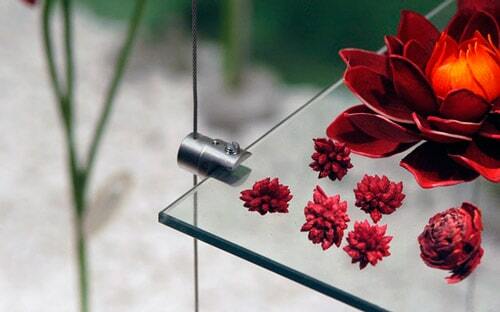 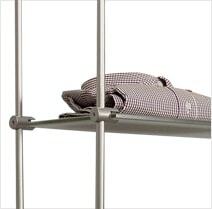 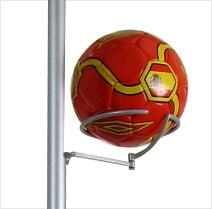 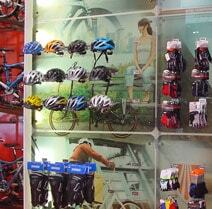 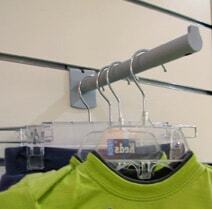 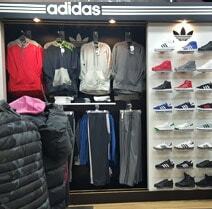 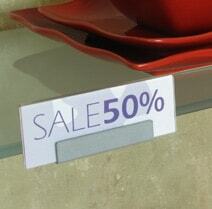 in-store & window displays - thanks to its' airy design which makes it practically see-through. 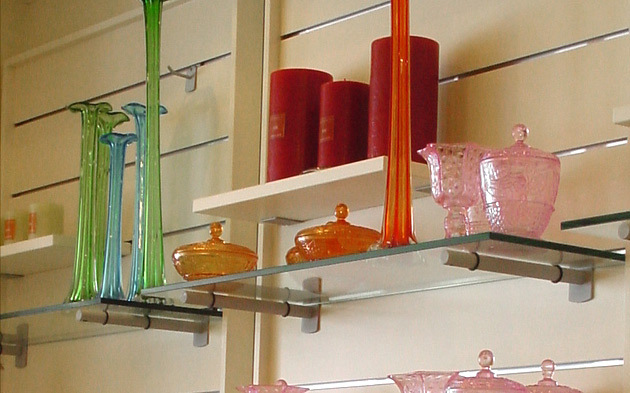 Make a strong design statement with these spectacular shelving combinations, which are available for either wood or glass shelves. 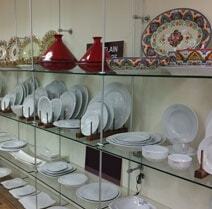 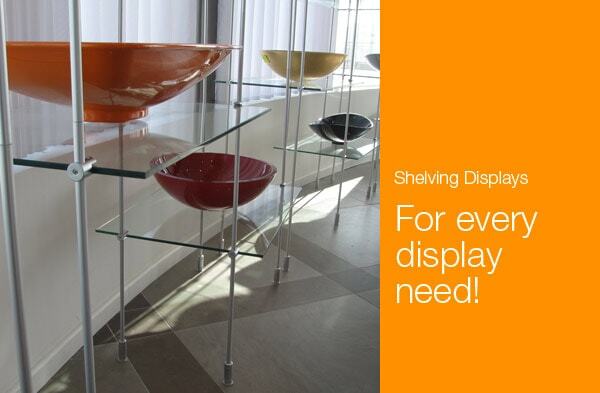 You can easily create a minimal space for showcasing products, with any required number of shelves. 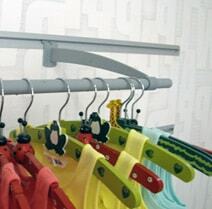 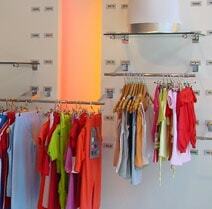 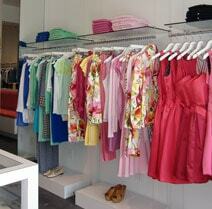 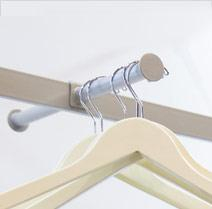 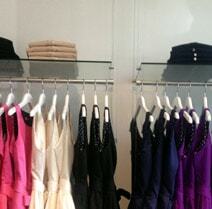 Treat your fashion boutique to a makeover with these elegant and minimal clothing display combinations. 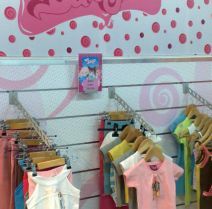 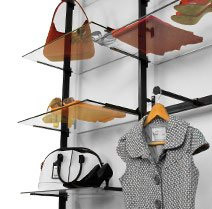 Designed to combine style with functionality, these displays can easily set up your clothing store with a major wow factor. 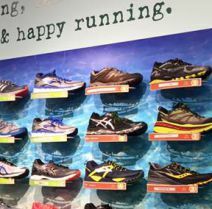 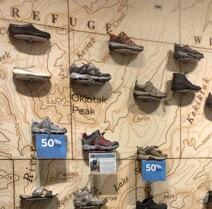 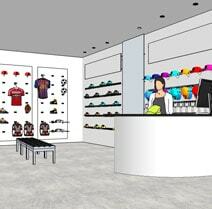 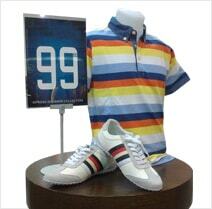 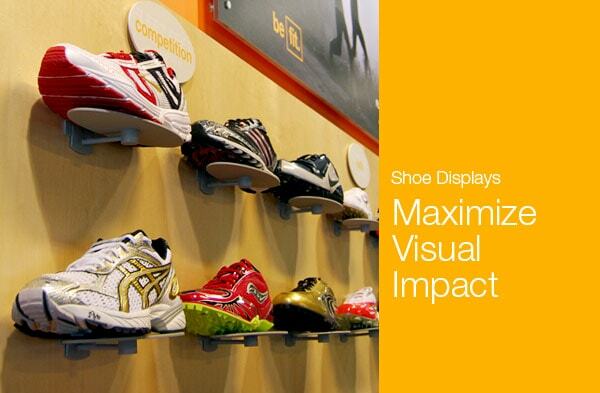 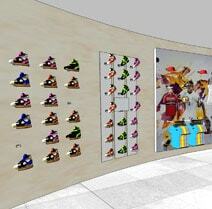 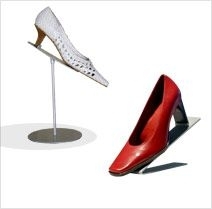 Create winning shoe displays in your store window, so you can draw customers in to do more than just window shopping! 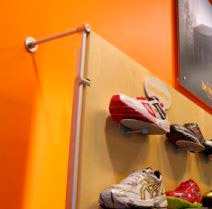 By positioning your shoe line on dramatic, practical wall shelves, you encourage customers to interact with your products and make purchases. 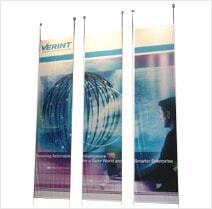 Advertise in style! 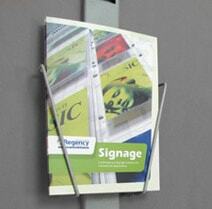 These minimal and aesthetically pleasing sign displays are ideal for displaying banners, prints, posters and graphics in offices and showrooms. 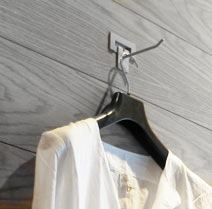 It's always the details that matter most. 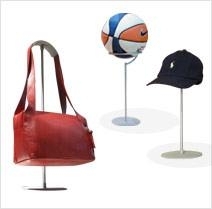 Browse our selection of other visual displays and individual components below, and find everything you need to complete your display properly. 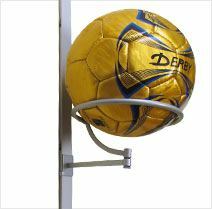 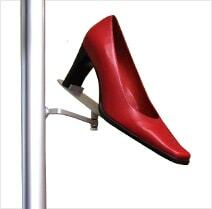 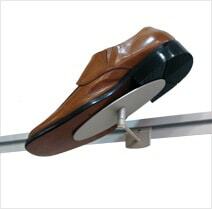 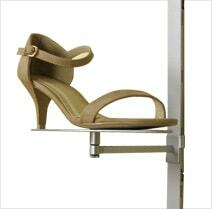 Looking for a sleeker, more modern, eye-catching way to display shoes, clothing, products, signs or advertising in your shop or office? 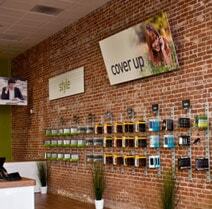 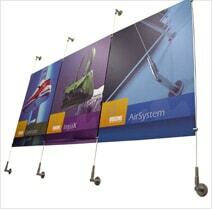 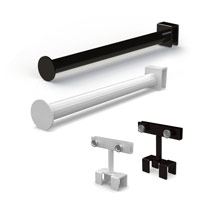 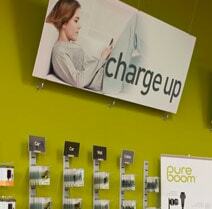 Consider the benefits of a cable display system. 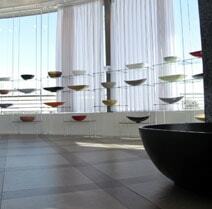 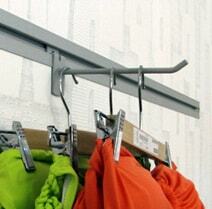 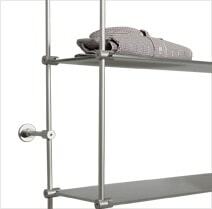 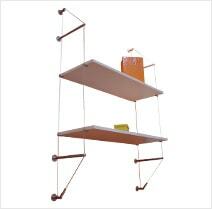 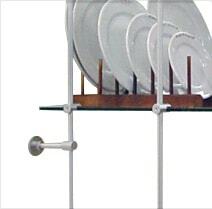 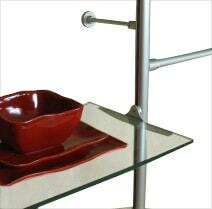 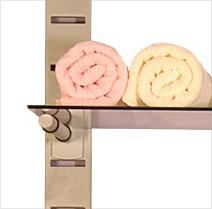 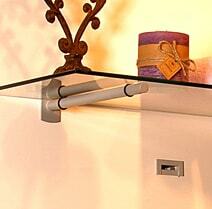 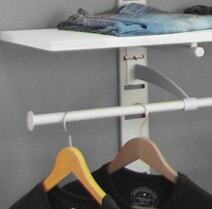 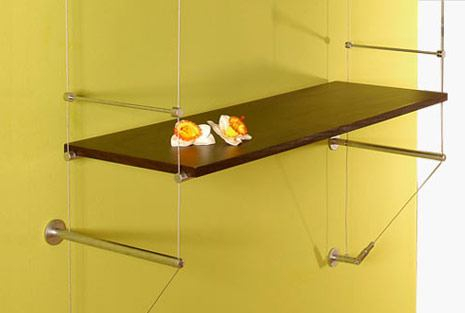 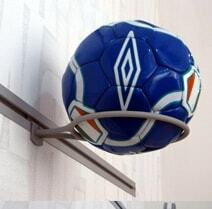 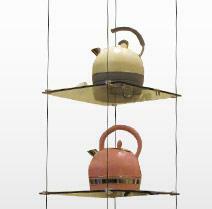 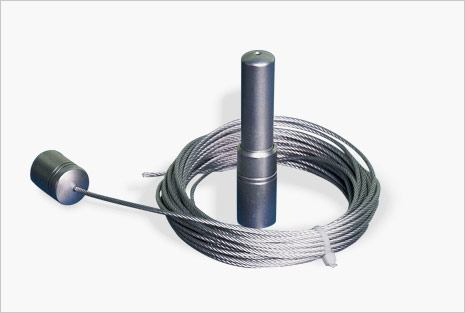 This elegant cable hanging system is ideal for adding that wow factor to your space. 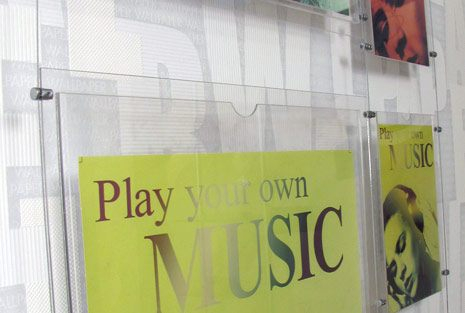 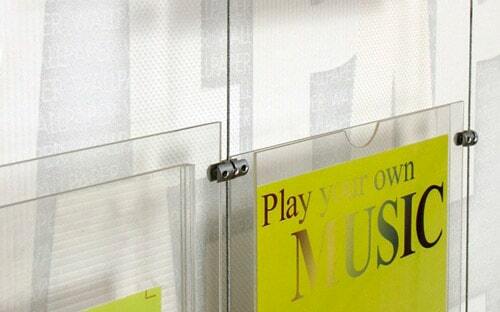 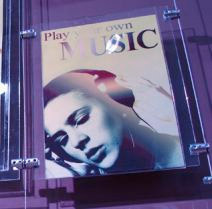 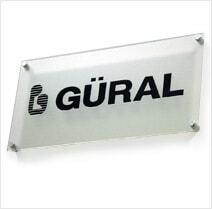 Featuring clear acrylic panels, it’s made to draw the eye to your products or signage instead of the cables themselves. 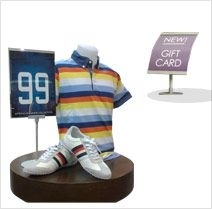 You can use this kind of display product to showcase pictures, current specials, seasonal products you’re promoting, or any other business advertising you want to highlight in your store. 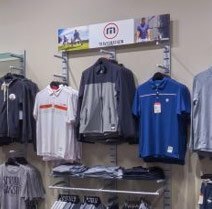 These cable displays are great for creating minimal in-store and window features that can increase interest and drive sales. 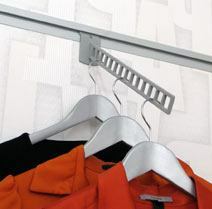 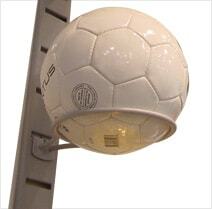 They look seamless against the wall, drawing the eye to promotional material rather than the cable fixtures themselves. 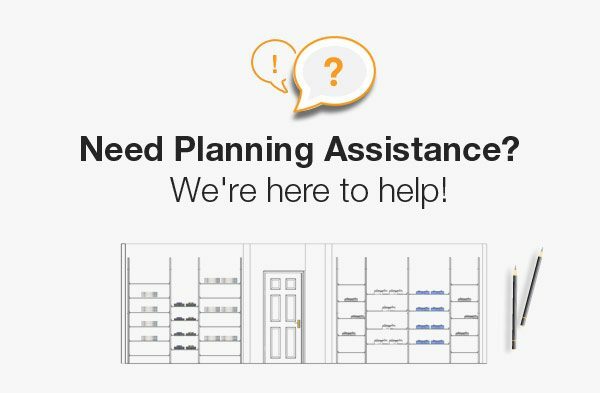 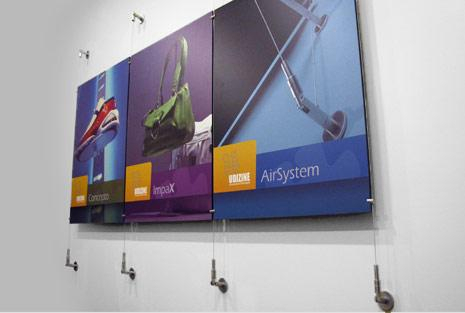 Used strategically, the cable display system is the perfect way to emphasize information and/or products in an easy-to-see way. 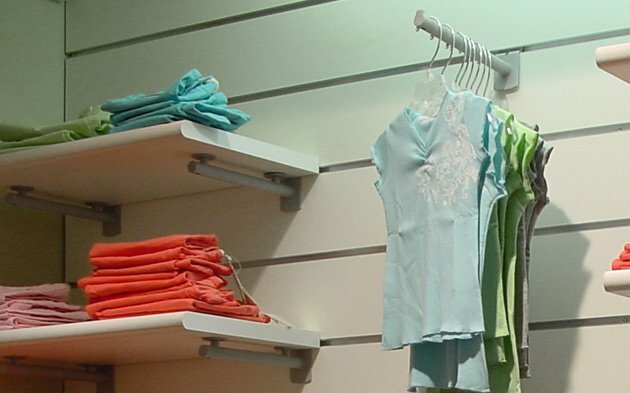 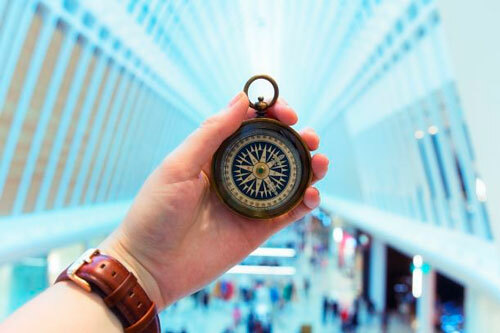 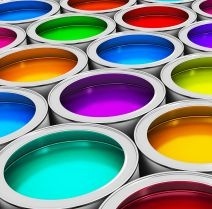 Whether you’re hanging articles promoting your business, a current menu selection at your restaurant, or clothing in your fashion line, you can do it beautifully with this solution. 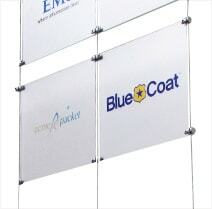 Available in various sizes and styles, these displays can be used in single or multiple units to feature information and products at your site. 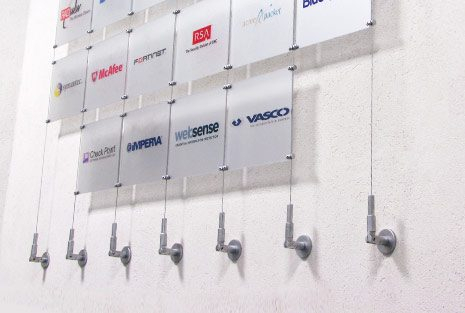 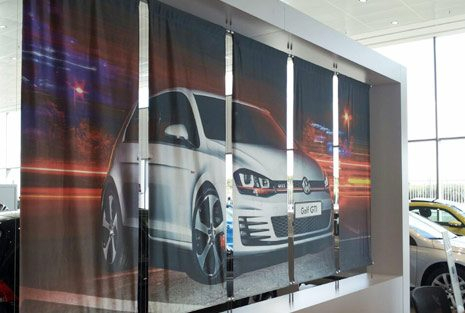 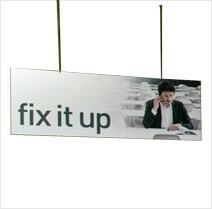 What’s more, thanks to an airy design, they are practically see-through — the kind of modern hanging systems that fit well in any environment while effectively marketing your products. 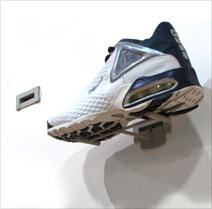 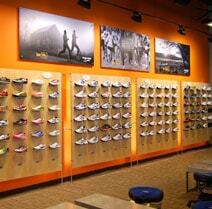 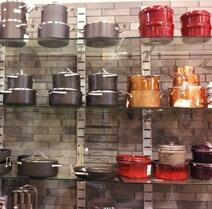 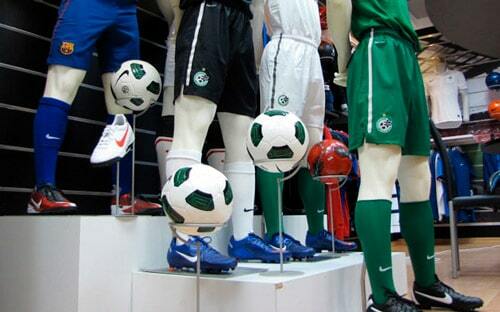 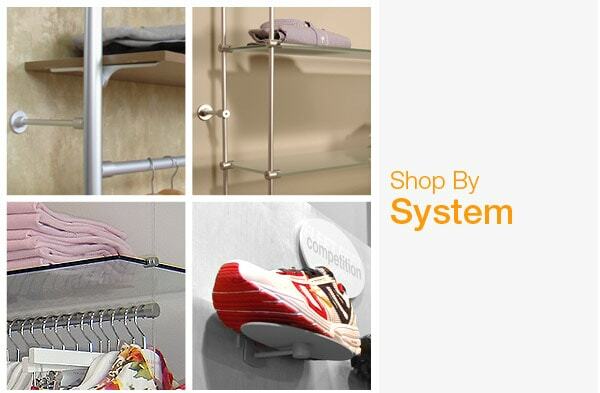 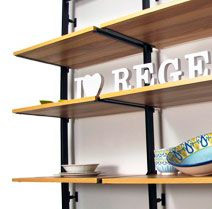 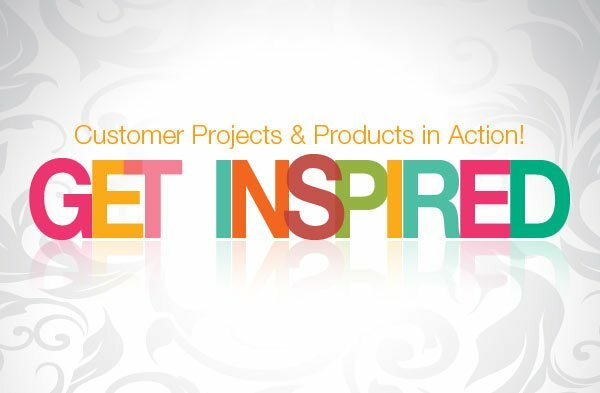 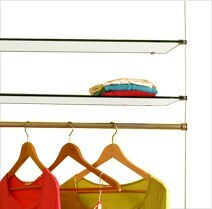 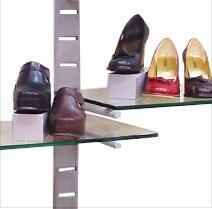 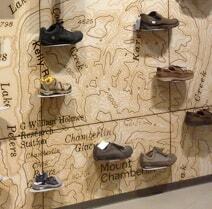 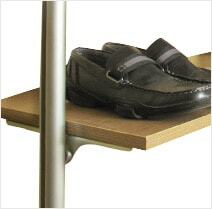 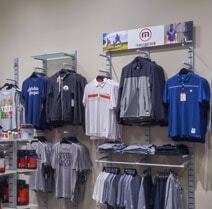 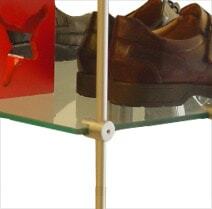 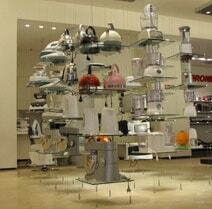 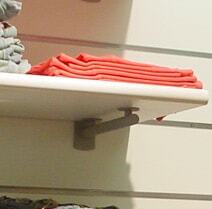 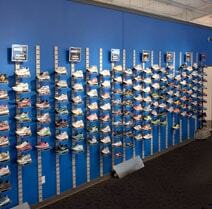 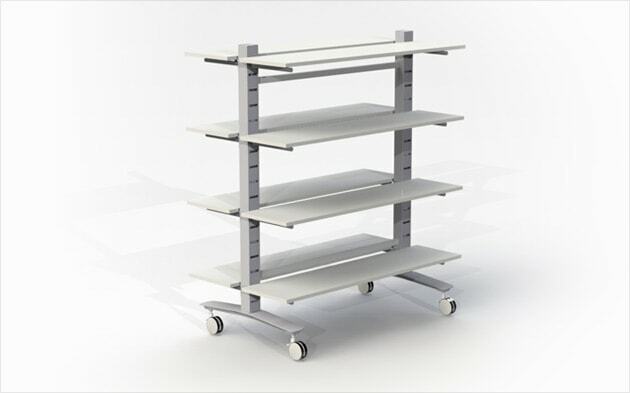 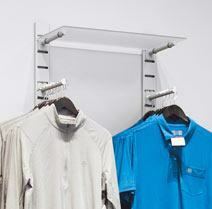 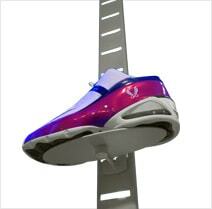 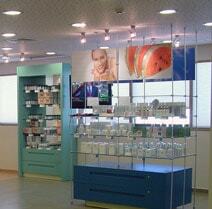 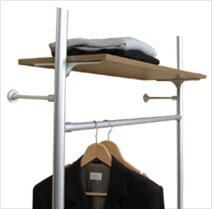 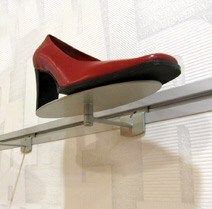 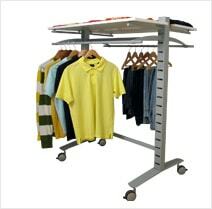 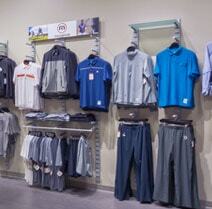 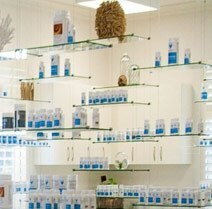 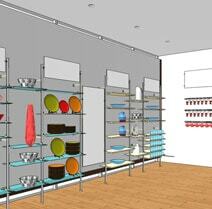 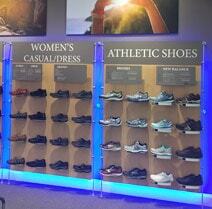 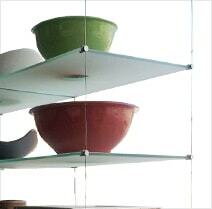 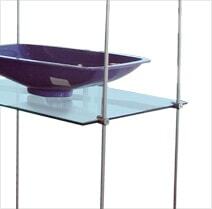 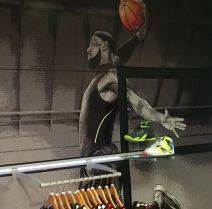 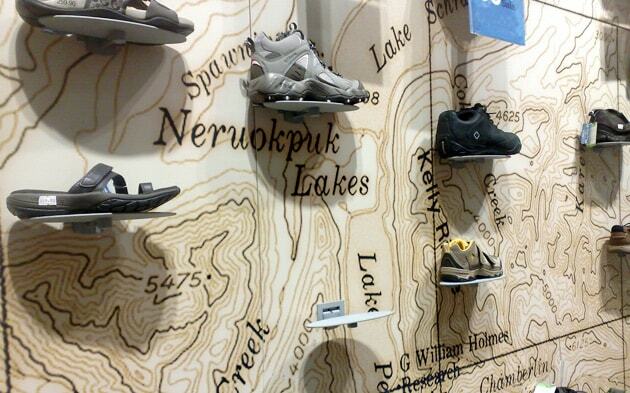 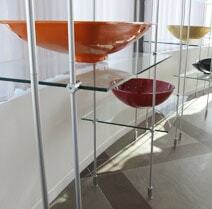 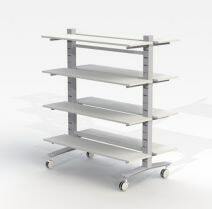 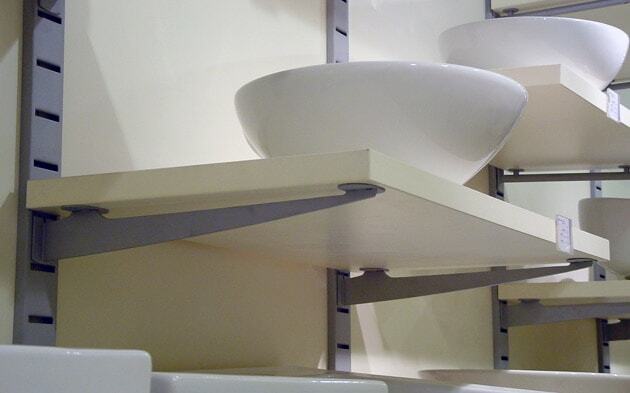 Whether you’re looking for shelving displays or shoe displays, you’ll find contemporary solutions in our product line. 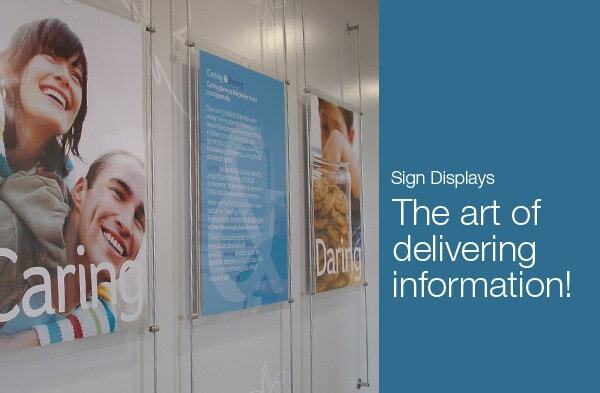 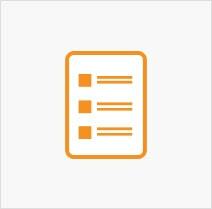 Explore our offerings below to learn more. 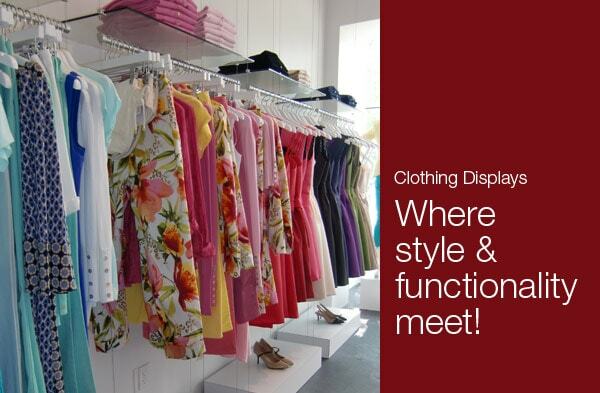 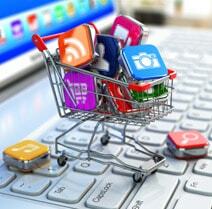 Or, get in touch with us anytime to talk about the possibilities or to place an order!